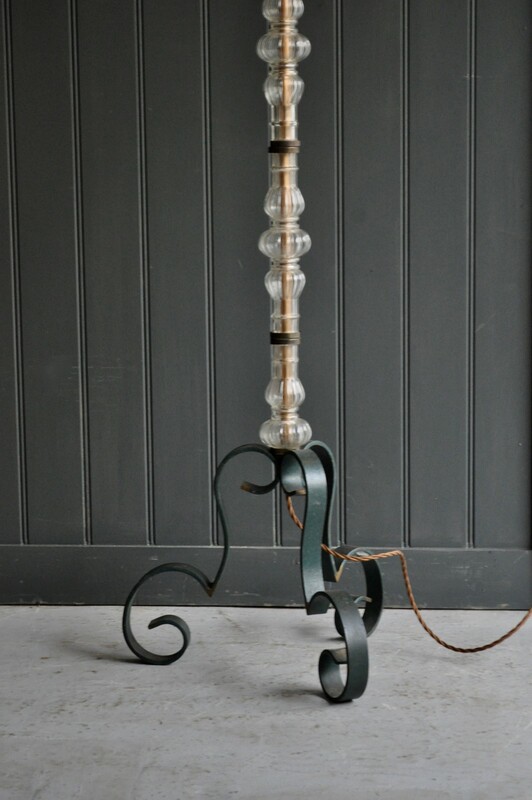 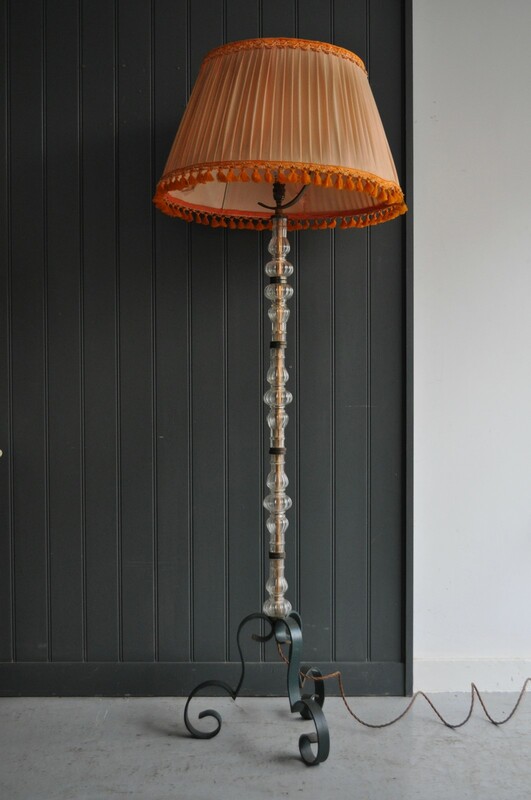 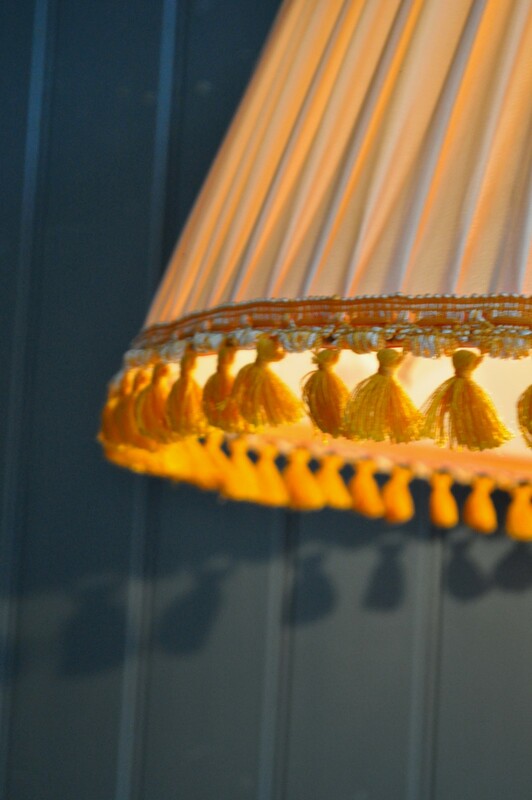 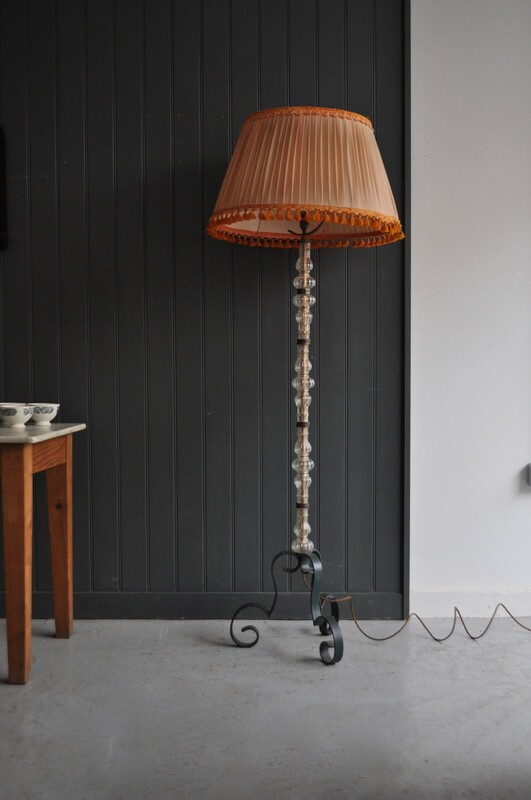 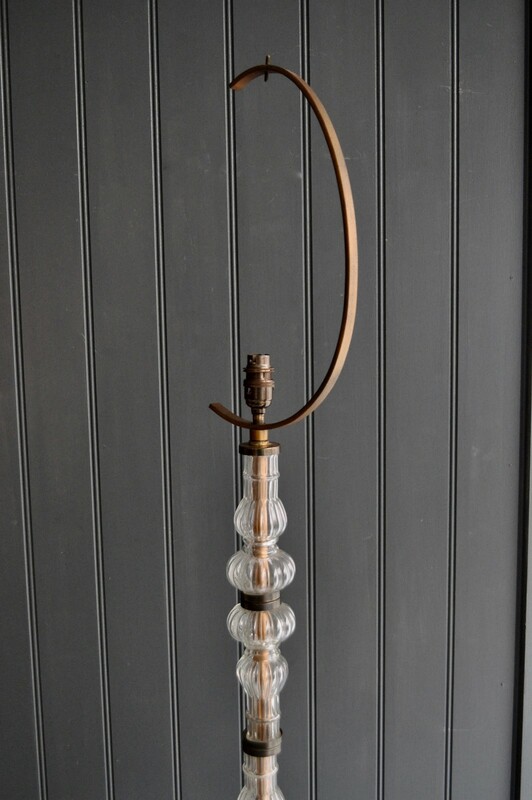 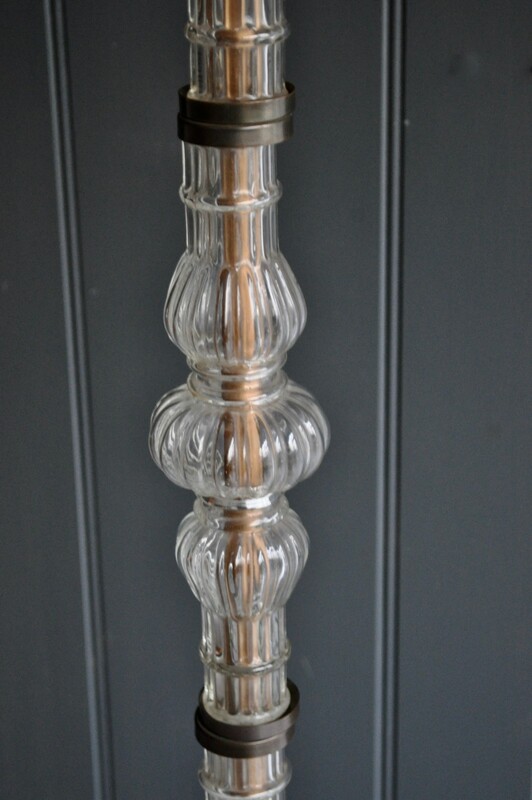 Lovely louche French floor lamp with a wonderful rather battered original silk shade, and a stylish glass stem. 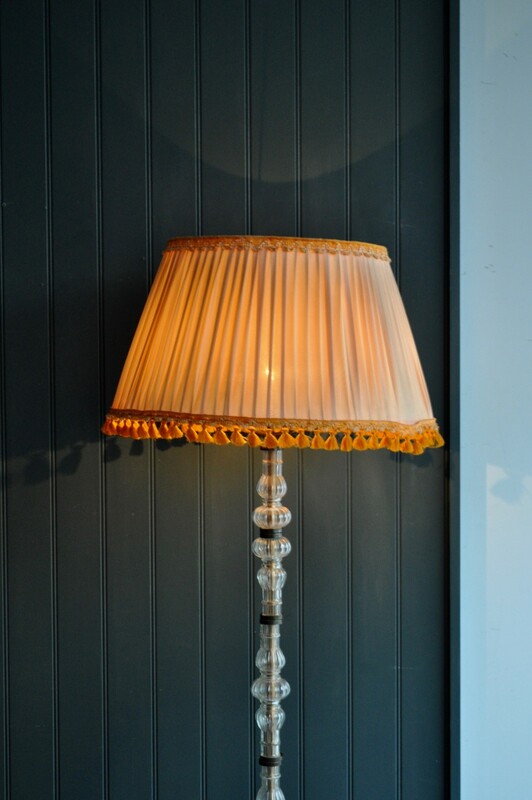 Newly rewired with gold braided flex and a new switched bulb-holder. 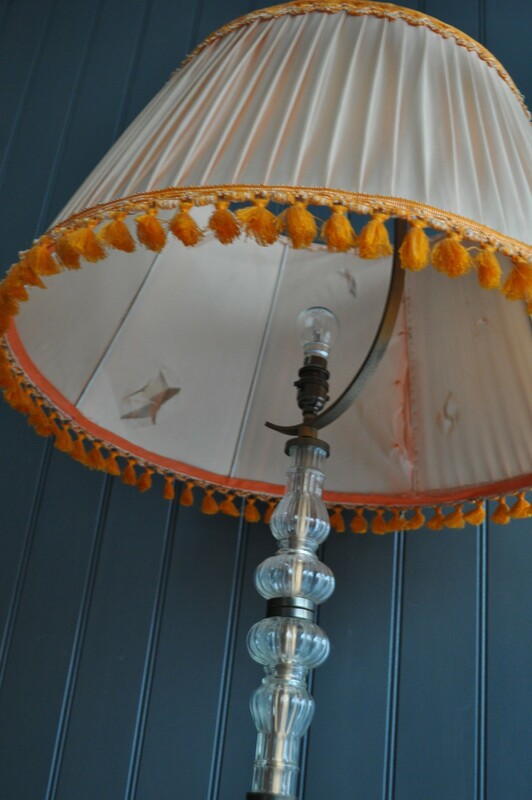 Accepts BC bulbs.